So, American readers, how was your Thanksgiving? Mine was a blitz of cooking and baking and generous amounts of DayQuil, which, as it turns out, can leave you feeling every bit as festive as Champagne. In the days that have followed, I have been trying not to be too much of a burden on our houseguests as I nurse what is surely the Virus of the Century, alternating sleeping with steam-filled showers and bowls of mish-mashed leftovers bound with gravy. Luckily, I also have a stash of Kim Boyce's Whole Wheat Chocolate Chip Cookie dough all scooped out in a bucket in the fridge. This allows me to wade into the kitchen between naps, bang several onto a sheet pan and bake fresh cookies every afternoon, in a lame effort to appear as though I am a good hostess. A deaf, mute, hacking, bleary-eyed hostess, but nevertheless one who can provide cookies. If you're one of the many who've picked up a copy of Good to the Grain, then maybe you were as charmed as I was to find that the very first recipe in the book is for Chocolate Chip Cookies. Even when presented with a topic as daunting and stereotype-laden as whole-grain baking, who isn't instantly disarmed and delighted by chocolate chip cookies? Communists, that's who. And before you go thinking that I'm throwing health food at you during the holiday baking season, don't you worry. These cookies pack tons of chocolate and have all the butter and sugars of the classic, but the all-purpose flour has been 100% swapped out for nutty, nubbly whole wheat flour. So basically what you get here is an amped-up chocolate chip cookie--more addicitive, toasty flavor and a wonderful, hearty, chewy texture, complete with those crack-like buttery, sweet, crispy edges. The use of whole wheat flour is the ultimate flavor booster here, not some propaganda that will be your gateway drug for wearing hemp and arranging sit-ins. I promise. And really, as long as we're on the subject of things that are all good for you, would it kill ya to sneak in a few extra nutrients during this glorious season of holiday eating? Especially when the vehicle for said nutrients is something so dang perfect and completely delicious? I may not be completely in my right mind right now, high on Sudafed, surrounded by tissues, Ricola wrappers and cookie crumbs, but believe me, I know what I'm talking about here. I used a stone-ground whole wheat flour here and absolutely loved the texture, but you can use any kind of whole wheat flour that you like, including the white whole wheat flour that is available in most supermarkets. 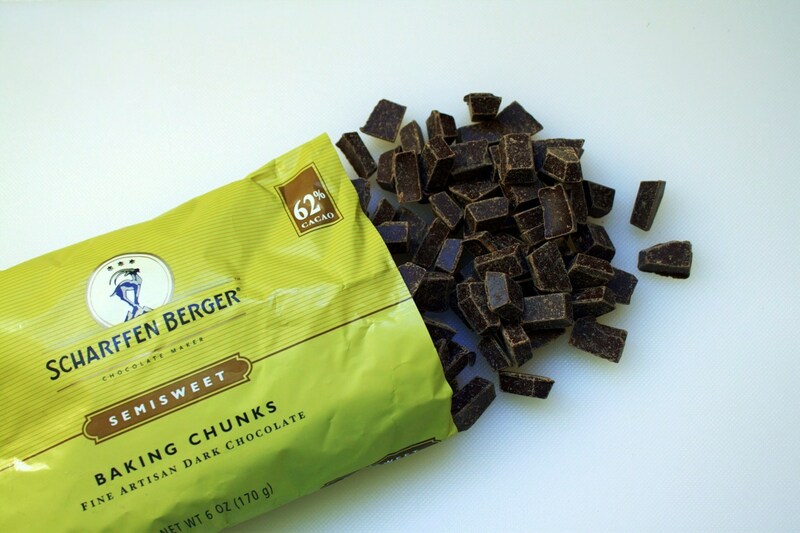 Resist the temptation to use semi-sweet chips--the combination of the whole wheat flour and bittersweet chocolate is dynamite. If you use table salt instead of kosher, use roughly half the amount of salt. 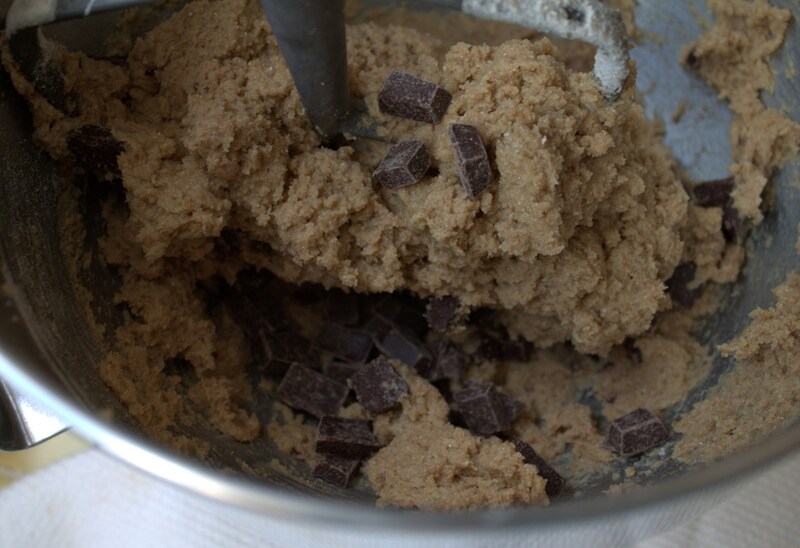 The original recipe says that you can bake the cookies right away, but I found that I much preferred the texture and flavor when the dough was chilled before baking, so I'm including it here. I made my cookies a bit smaller, using a 2 tablespoon scoop, and obviously got a higher yield than the original recipe yield of 20 cookies, but the baking time was the same. Position racks in the upper and lower thirds of the oven, and preheat it to 350 degrees. Line two baking sheets with parchment or silicone baking mats. 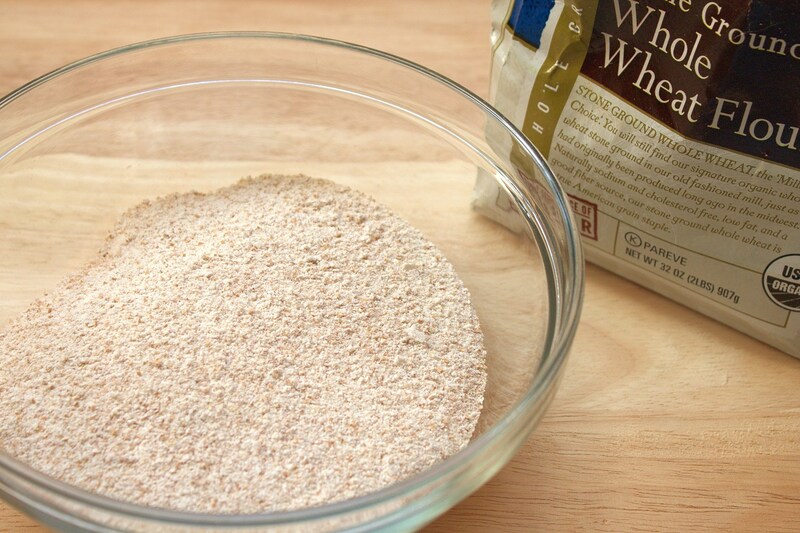 Whisk together the flour, baking powder, baking soda, and salt in a medium bowl. In the bowl of an electric mixer fitted with the paddle attachment (or with a handheld mixer), beat together the butter and sugars, just to blend. Scrape down the sides of the bowl. Beat in the eggs one at a time. Beat in the vanilla. With the mixer still on low, gradually beat in the flour mixture to the bowl, just until incorporated. Stir in the chocolate chips on low speed. Scoop mounds of dough about 3 tablespoons in size onto the prepared baking sheets, about 3 inches apart. Chill for about 1 hour (at this point, you can store the chilled dough balls in an airtight container and they will keep for 1 week). 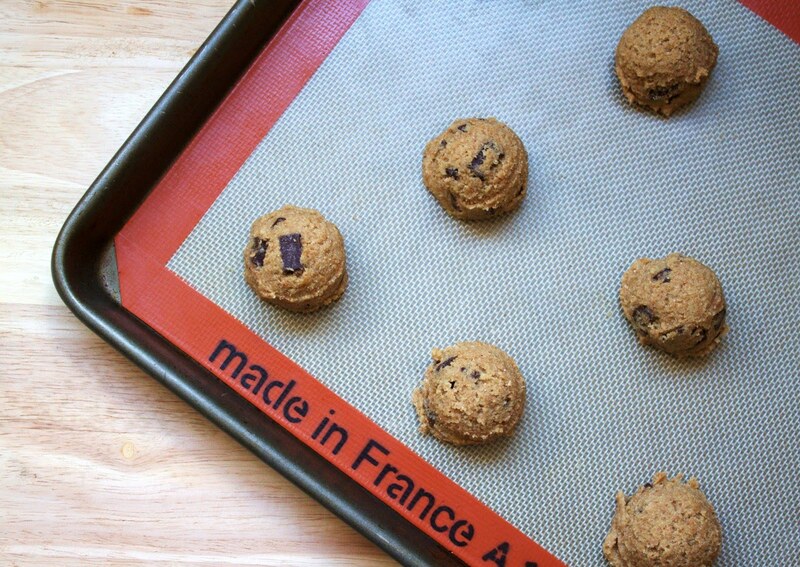 Bake the cookies for 16 to 20 minutes, rotating the sheets halfway through, until the cookies are evenly browned. Let cool for several minutes before transferring the cookies to a wire rack to cool completely.